Chip’s Challenge gets a sequel… which (after some legal troubles) just got released almost 25 years after being completed! We take a tile-filled trip down memory lane and check our Chuck Sommerville’s follow-up to the 1989 puzzle classic. I still remember the first time I played Chip’s Challenge. It was back in 1990, and it was through the demo version that came with my ST Action magazine cover disk. I was barely 10 years old at the time, but the simple yet intricate puzzles of the game immediately grabbed me. It remains one of my favorite Atari ST games to this day. Back then, it was extremely hard to get new games. No one I knew had ever heard of a videogame store, and the only place where you’d find videogames was in a regular toy store. Once there, the chances of running into Atari ST games also weren’t that great. It was a chain of events that led me to play every demo all the way to the end every month, and some of them more than once. So for a long time, all I had were the demo levels for Chip’s Challenge – and it took me a while to find the full version of the game. A few years later, I even bought a Lynx and tracked down Chip’s Challenge for that platform as well. Needless to say… Chip’s Challenge holds a special place in my gamer heart. It has now come to Steam, and it didn’t come alone. A sequel was made 25 years ago, but was never released… until now! 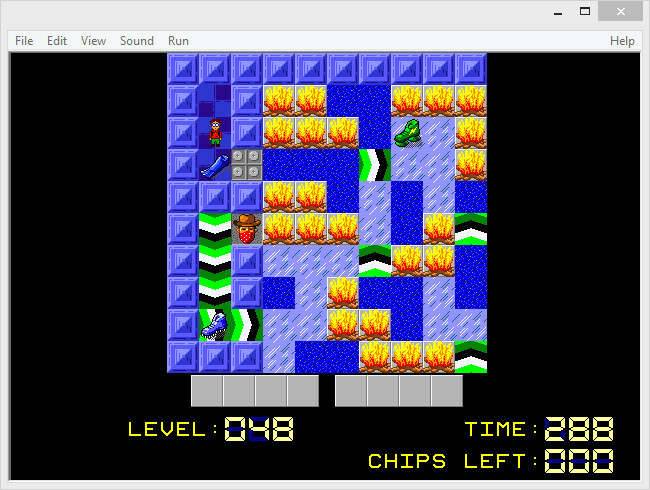 Chip’s Challenge 2, a game frozen in time for well over two decades, has finally been released upon the world. This means a lot of charm and nostalgia for those who remember the original game, but might make it a challenge for the game to win over the modern crowd. Chip’s Challenge 2 – like its predecessor – is a tile-based puzzle game. There are maze-like elements, triggers, enemies and blocks to push – and the many types of behavior that the different tiles exhibit create a vast diversity of puzzles. There’s a story in there somewhere as well, but the game’s main draw has always been about the puzzles. This sequel offers more tile types, more enemies – and thus even more opportunity for diverse puzzles than before. To treat Chip’s Challenge 2 like a 2015 sequel would be unfair. The game was finished eons ago (read more on its history at http://www.chipschallenge2.com), so in terms of game design this is very much an early 90s game. It can therefore be unforgiving in places – like when you push ‘up’ a moment too soon or late when trying to hurry up through a level once you know how to complete it. This, too, brought back memories, but of the minor frustrations that Chip’s Challenge could bring me. 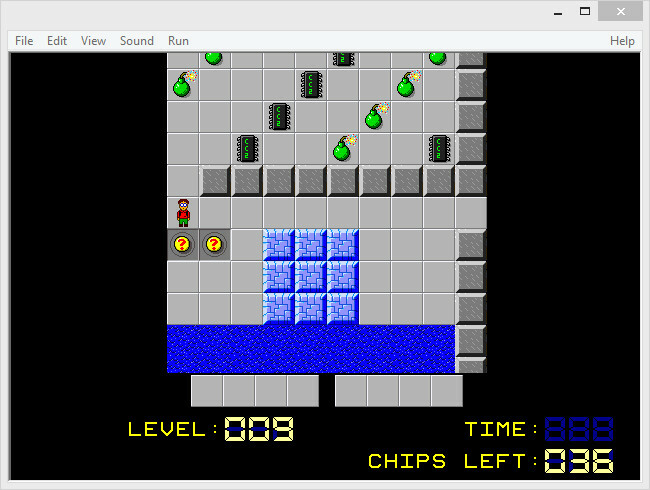 Modern puzzle games have worked around this by using rewind or retry option, but Chip has to return to the beginning of a level and try again. Or Melinda, because Chip is joined by her in the sequel. Enjoying Chip’s Challenge 2 to the fullest therefore requires you to step back in time a little bit, and forget about what you have gotten used to over the past couple of years. If you look beyond that, there’s a great puzzle game here with tons more depth than many present-day puzzle games offer. If you fondly remember Chip’s Challenge, then you owe it to yourself to play Chip’s Challenge 2. It’s an intricate puzzler and the many different tiles keep the experience fresh – even 25 years after the game was initially completed.